You know when you’re out with friends and one of them mentions a song they love with such passion that they absolutely must listen to it right that very second, regardless of whether anyone else care to hear it or not? I’m usually that friend. And, according to a report from Page Six, so is Jimmy Fallon. 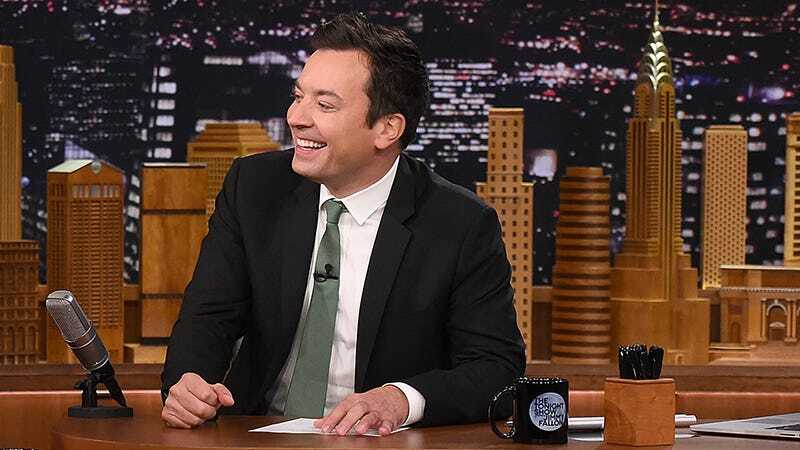 A source said Fallon was “very drunk” at a “punk bar” recently—perhaps after Monday’s debate or perhaps last week (their reporting is unclear)—when he decided to whip out his phone, “have the bartender hook it up,” and play ’90s music. $50 says he played “Tubthumping.” Twice. 1.) People reports that despite rumors that began circulating Monday, he and Chyna are still together. We’re told Rob has gained back the 50 pounds he lost shortly after hooking up with Chyna ... again hovering around 300 lbs. As one source put it, “Rob is slipping back into a dark place.” We’re told the family is praying he “snaps out of it,” and they want to do whatever they can to help him. Kanye West reportedly played “Famous” three times in a row during a show in Nashville. You know, the city where Taylor Swift lives.